Did you walk or bike with your kids to school this month? You should! May 7 was National Bike and Walk to School Day, and BFF joined the parade of mothers, fathers, and children all commuting to school on two wheels instead of four. A big thanks to Healthy Central Florida for heading the count for all the participating students, and the crossing guards for making this day run safely and successfully. 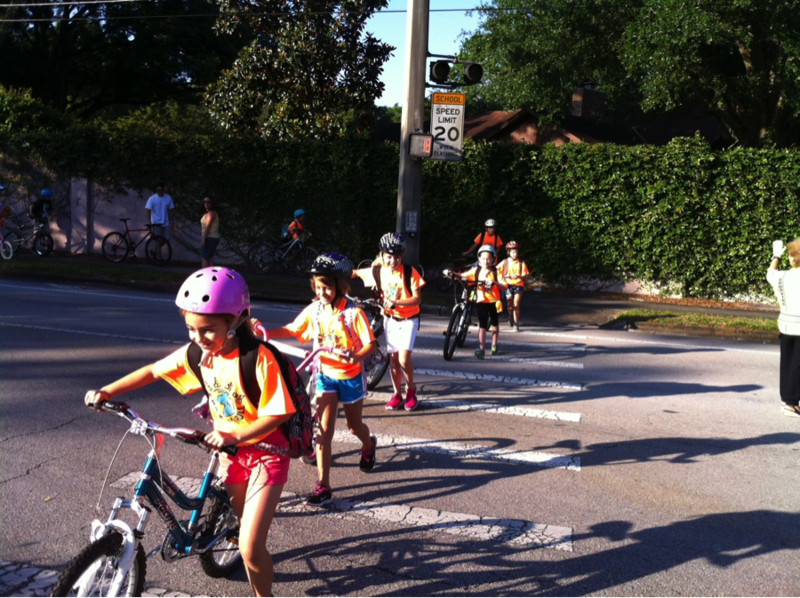 May is National Bike Month – to celebrate, students are practicing their bike and pedestrian safety skills to get to school. Some of the participants were Dommerich Elementary, Brookshire Elementary, Maitland Middle School, Glen Ridge Middle School, Hungerford Preparatory School, Lakemont Elementary, and Lake Sybelia Elementary. For more information on Walk n Roll programs at participating locations contact Michelle Sartor.